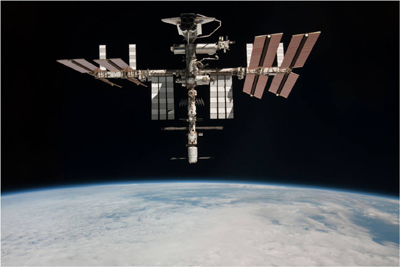 Retired NASA astronaut Daniel Bursch (Captain USN, Retired) is a veteran of four space flights, one of which included more than six months on the International Space Station. He is also a family friend of one of Premier’s student pilots who arranged to have Dan join us for a Wednesday evening during Premier’s Flight Instructor Workshop Seminar. Dan, who now teaches at the Naval Post Graduate School and lectures professionally, was kind enough to join the group from his home in California by Skype. He began our evening together by offering his insights into several contemporary “safety of flight” issues: weather awareness, fuel planning and management, the importance of knowing your airplane’s systems – making him sound like any experienced pilot proffering sound advice. 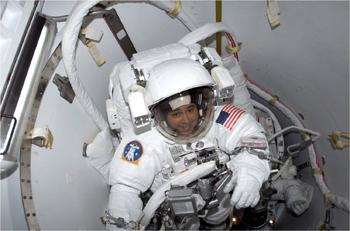 The only difference is that his expertise was gained over 20 years as a navigator in Navy A6s, and as graduate of the United States Navy’s Test Pilot School – oh, and that time with NASA! Dan had sent a PowerPoint presentation to share, so the evening quickly developed into an enthralling discussion of life as an astronaut. 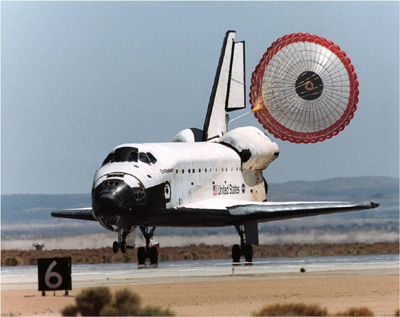 Dan reminisced about flying in our now retired Space Shuttles, a trip that begins with a 1.5 G acceleration and puts you into “low earth orbit” (about 200 miles above the Earth) in seven and a half minutes. 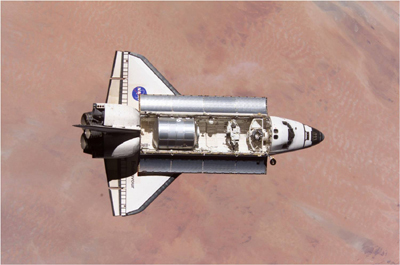 He described how the simple formula from physics (F=Ma) dictates that because the shuttle burns fuel, it gets lighter (i.e. its “mass” decreases), yet the shuttles’ engines keep producing the same force, “F”, so it accelerates throughout the entire ascent! “Then, when the engines shut off and the shaking stops, it’s quiet and everything just starts floating,” Dan described. Dan also recalled the odd juxtaposition of the events that encompassed his career in the Navy which began with flying missions off of aircraft carriers to ensure continued readiness against the uncertain foe that was the Soviet Union, and culminated with him “sitting in a formerly secret Russian military base speaking Russian with his commander.” He was of course referring to Yury Onufrienko, the commander of Expedition 4, which was Dan’s mission on the International Space Station. 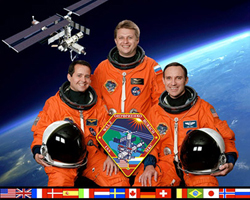 During the Expedition 4 mission, which lasted for 181 days, Dan performed several space walks before returning to Earth on the Space Shuttle. 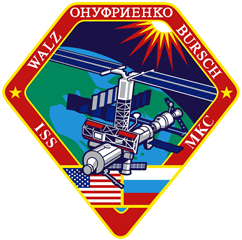 The other Expedition 4 mission member was Carl Walz (Colonel, USAF, Retired). Dan had many other stories that he shared and some amazingly breathtaking photos from his missions. Everyone had a wonderful evening listening to Dan speak, and we cannot properly thank him enough for his generosity with his time. 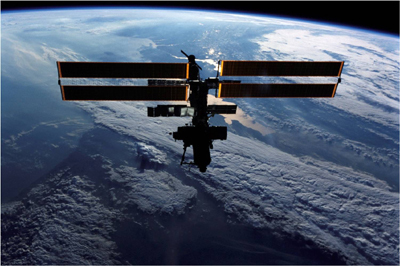 Everyone has seen images of the International Space Station (ISS), but few have had the chance to take the photo! Dan was kind enough to share this, and all of the photos seen below with Premier’s Flight Instructor Workshop, and given his permission to post the photos here. 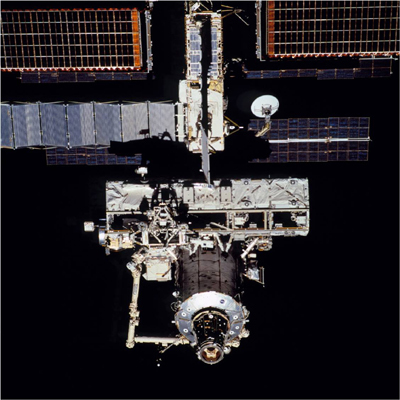 The pictures of the ISS were taken as the space shuttle undocked for his return to Earth in June 2002. 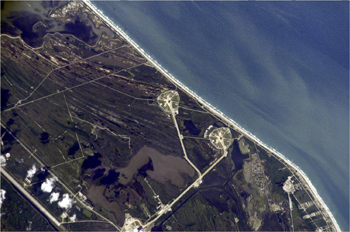 According to Dan, the station has expanded considerably since his departure, so this isn’t the current look, but it’s an amazing view of it. 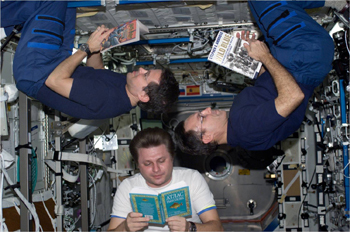 onboard the International Space Station. 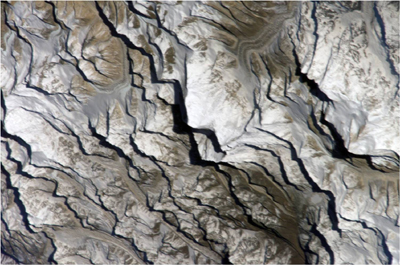 A unique view of Mount Everest taken from Earth's orbit.